CARFAX One-Owner. Clean CARFAX. 20/30 City/Highway MPG Certified. OPTIONS INCLUDE: Bose Sound System w/Subwoofer, Cold Weather Package, DVD-Audio, Heated Front Bucket Seats, Heated Rear Seats, Heated Steering Wheel, Navigation System, Power Liftgate, Power moonroof, Traction control, Wheels: 8.0"" x 19"" 5-Spoke V-Design. 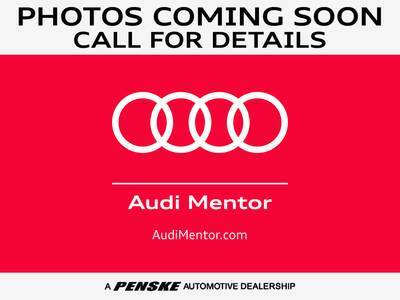 * Limited Warranty: 12 Month/Unlimited Mile beginning after new car warranty expires or from certified purchase date Only at Audi Mentor!